Staples Center was a rink I was looking forward to visit, and it didn’t disappoint. 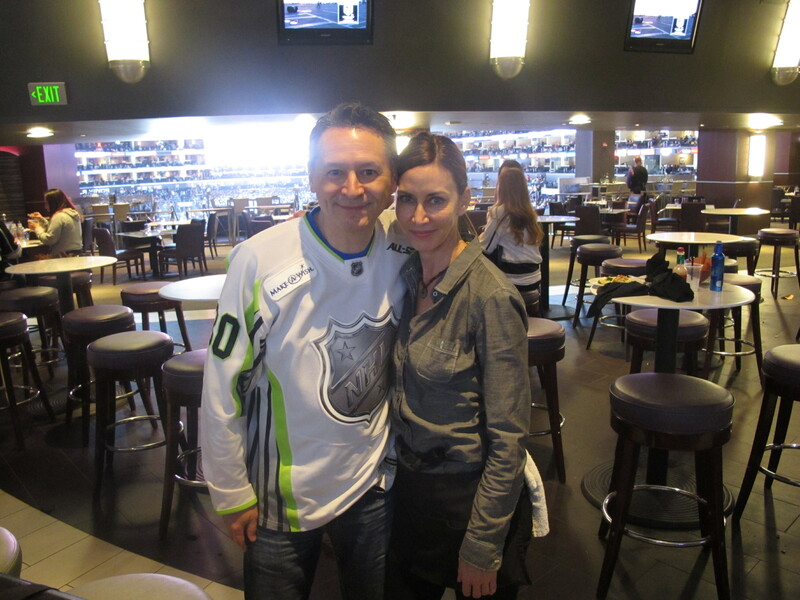 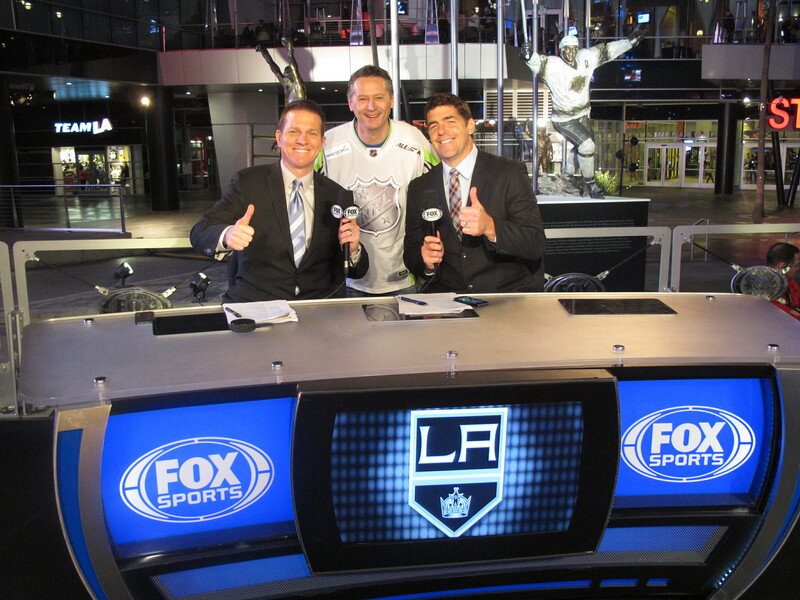 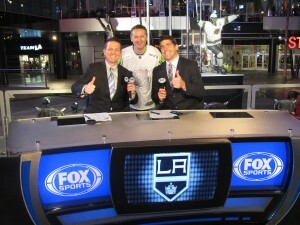 I met up with Lauren Wiedmeier with the Kings, who heard about my 30games-30nights trip a few weeks ago. 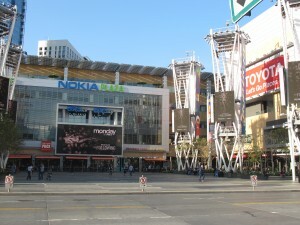 Before going inside the arena, I took a few photos of the area outside the arena, which is rich with restaurants and bars in this part of downtown Los Angeles. 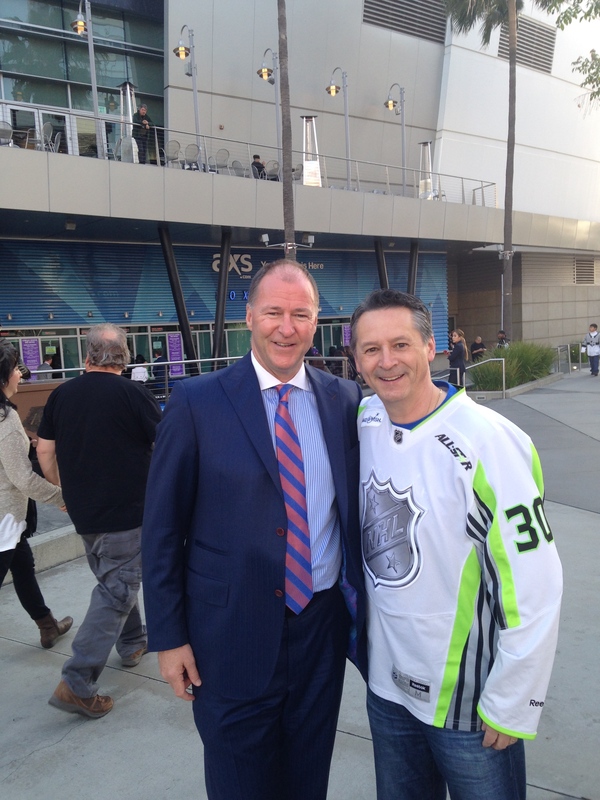 And while snapping photos of the area outside the rink, I ran into Kevin Lowe from the Oilers. How about that! 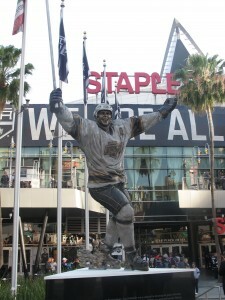 And just outside the arena entrance, there were statues of former Kings greats Luc Robitaille and Wayne Gretzky. 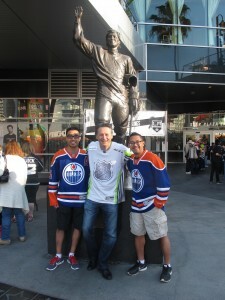 I ran into a few Oilers fans, who joined me for the photo with the Wayne Gretzky. 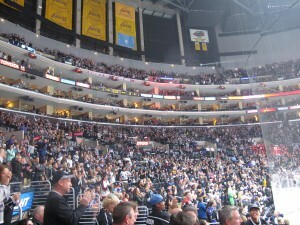 I’m guessing there were about 300-400 Oilers fans in the building for tonight’s game. 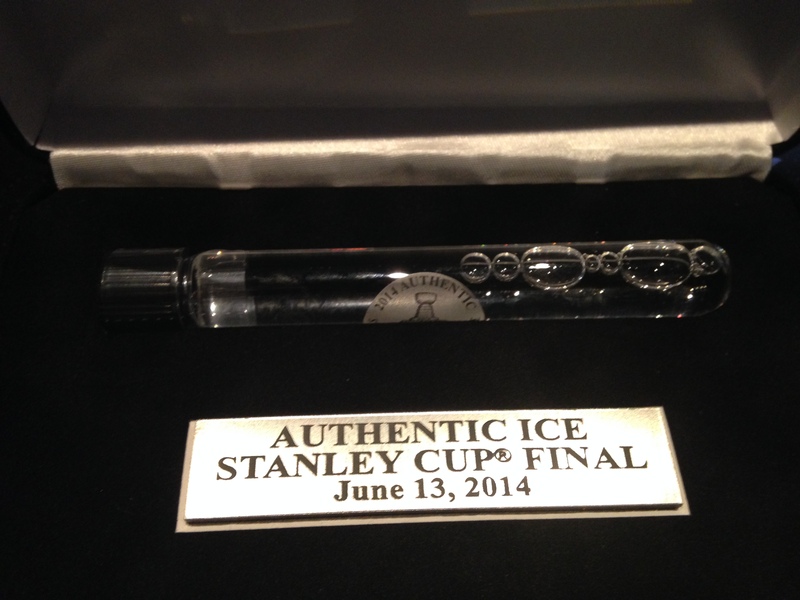 Getting back to the tour, Lauren presented me with a couple of nice gifts on behalf of the Kings organization: a vial containing the melted ice from their Stanley Cup winning game in 2014, and a signed puck by Kings player Dwight King. (If you’re name was King, who else would you play for? 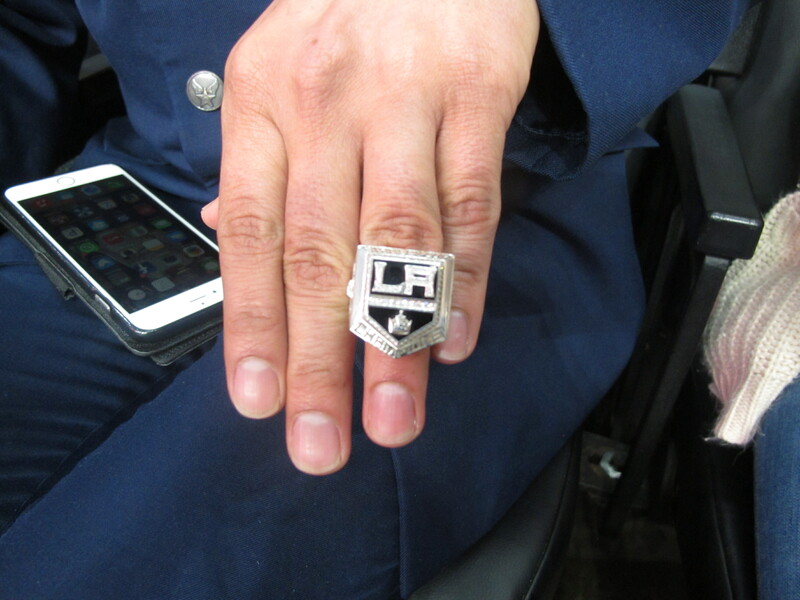 Lauren also presented my with an authentic Stanley Cup ring from the Kings win in 2014, but she presented it for me to look at, not to keep! 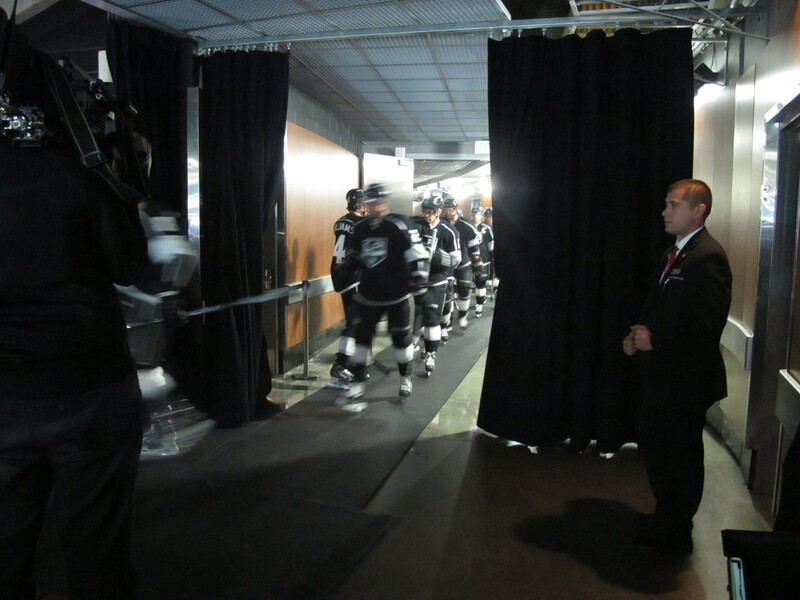 I also had the opportunity to watch the Kings players warm up with a soccer ball before the pre-game skate, and about 45 minutes later, I watched them enter the arena for the game. As I was running out to do the interview, I ran into Chad Johnson and his cool son Jeremy, who were there to cheer on the Oilers. Chad reached out to me a few weeks ago, with hopes to meet up at the game, and he bought me a beer, and promised to make a donation Make-A-Wish. The game did not go the way of Oilers fans, as the Kings trounced the Oilers 8-2. 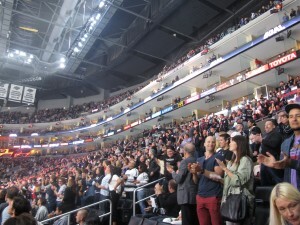 There was a lot for the Kings fans to cheer about tonight, and they did so in a very loud fashion. 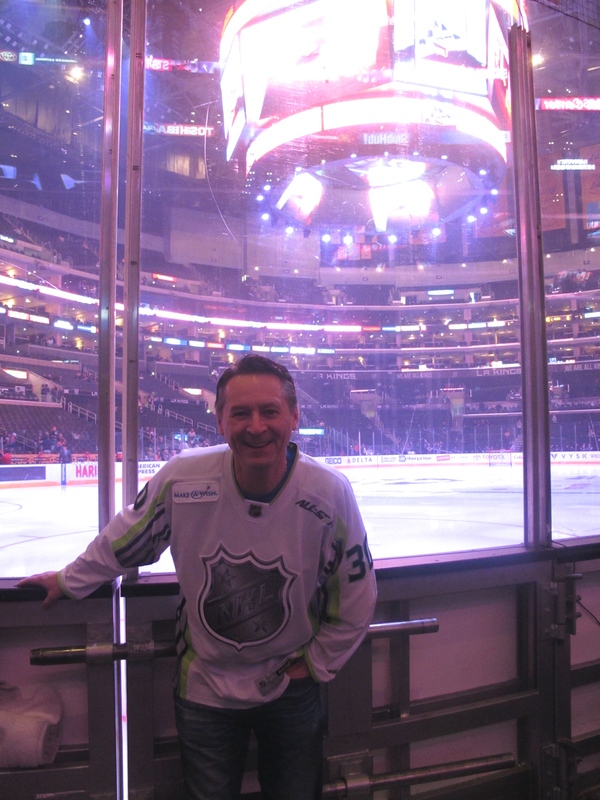 I finished watching the game in their club section, and was looked after a very pleasant Deborah, who got a kick out of my 30games-30nights trip. 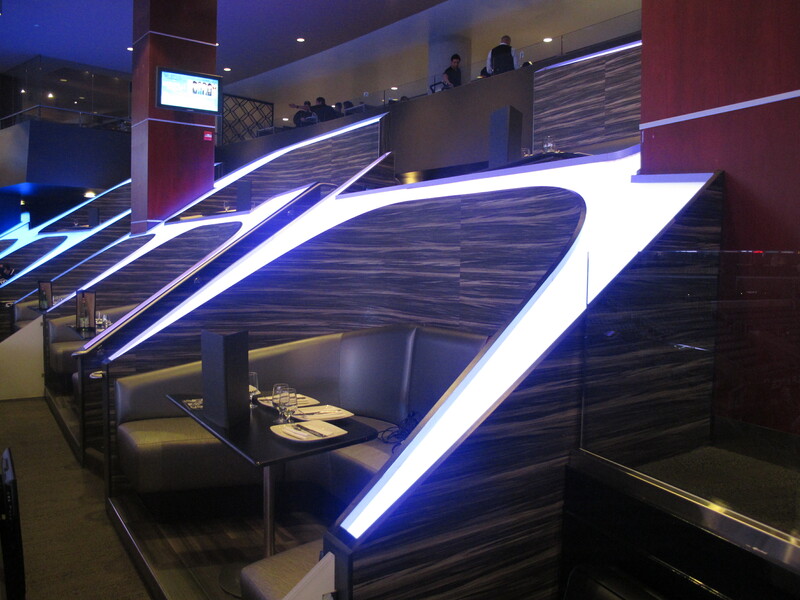 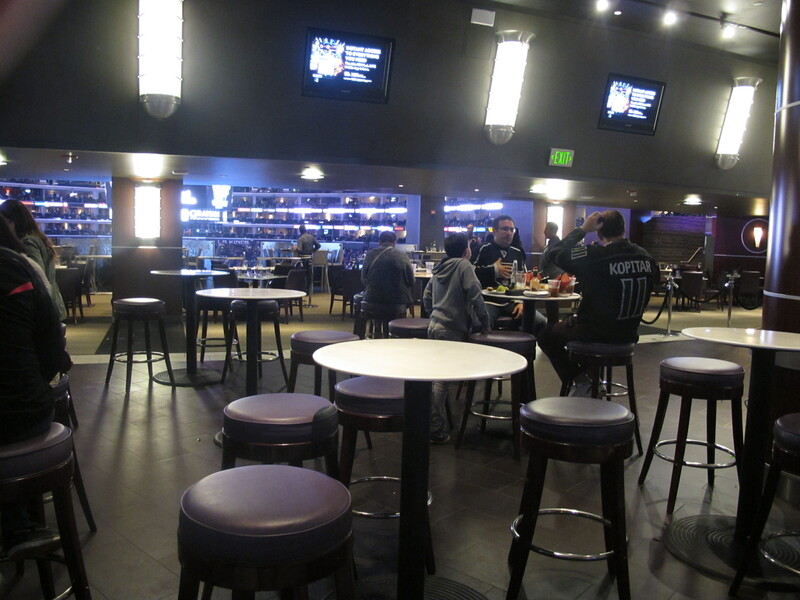 The final picture shows very special seating for the high-rollers who want to see a game in ultimate style. 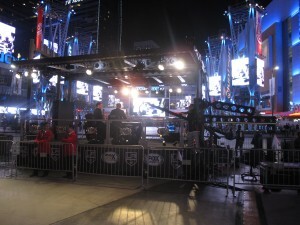 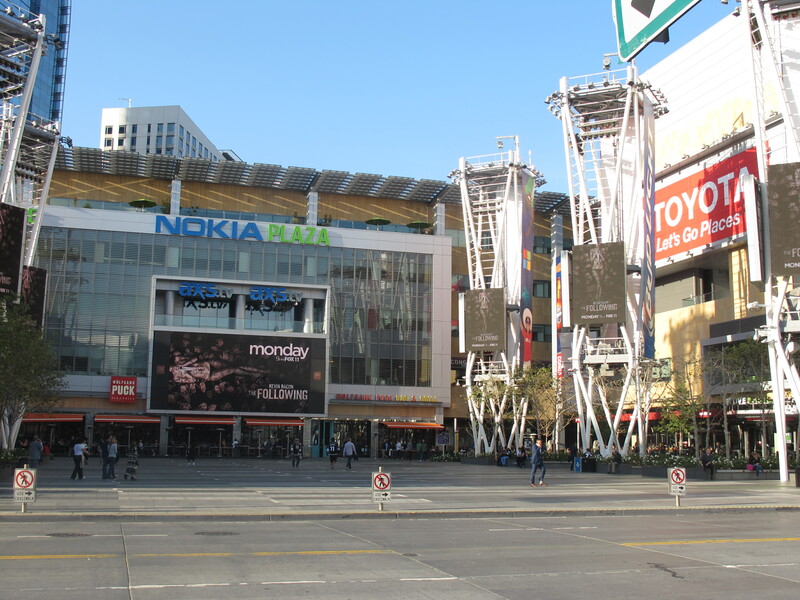 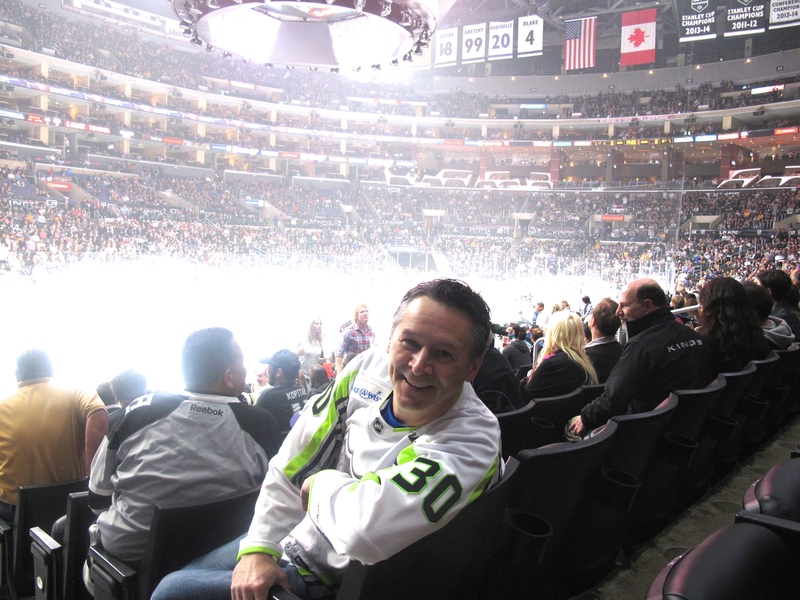 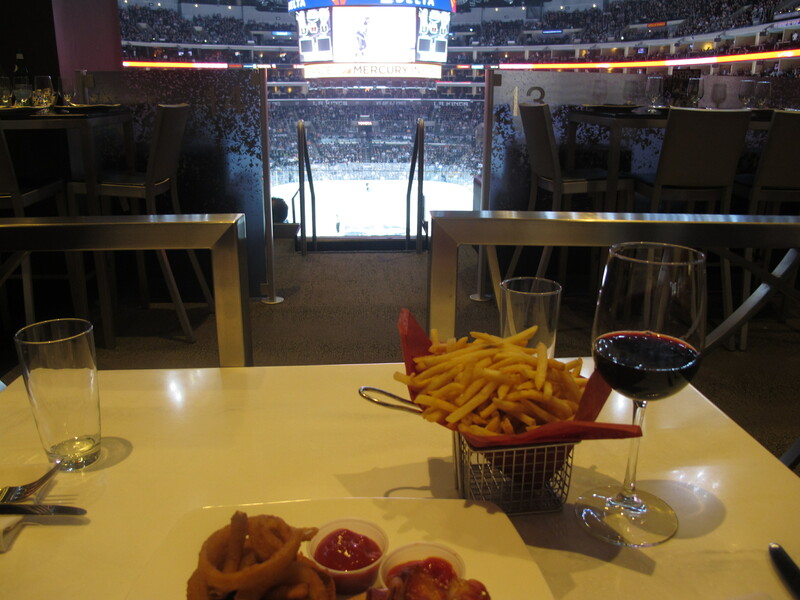 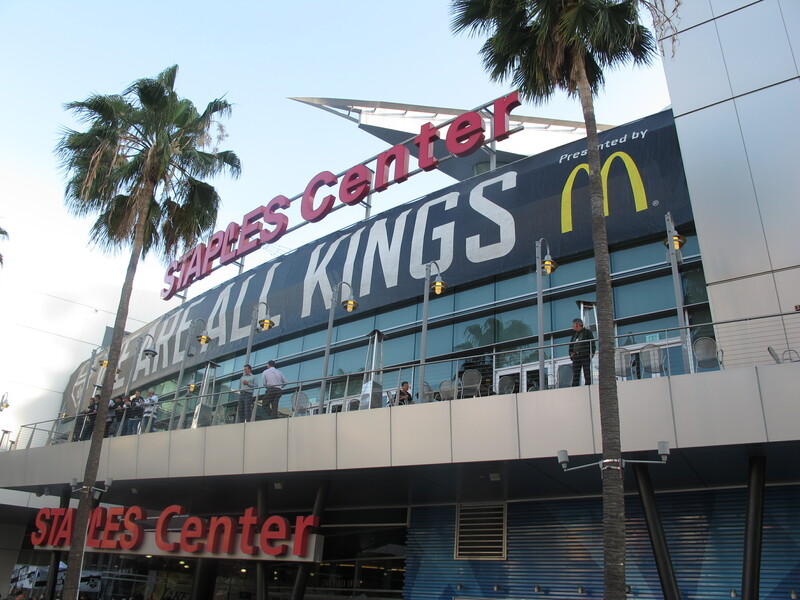 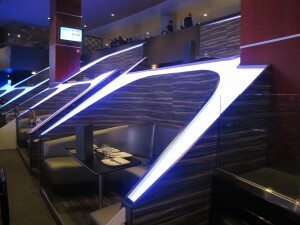 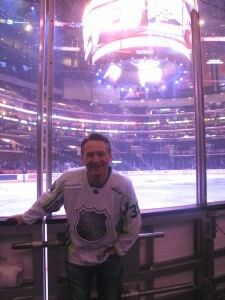 I was very impressed with the Staples Center, certainly one of the top buildings in the NHL. 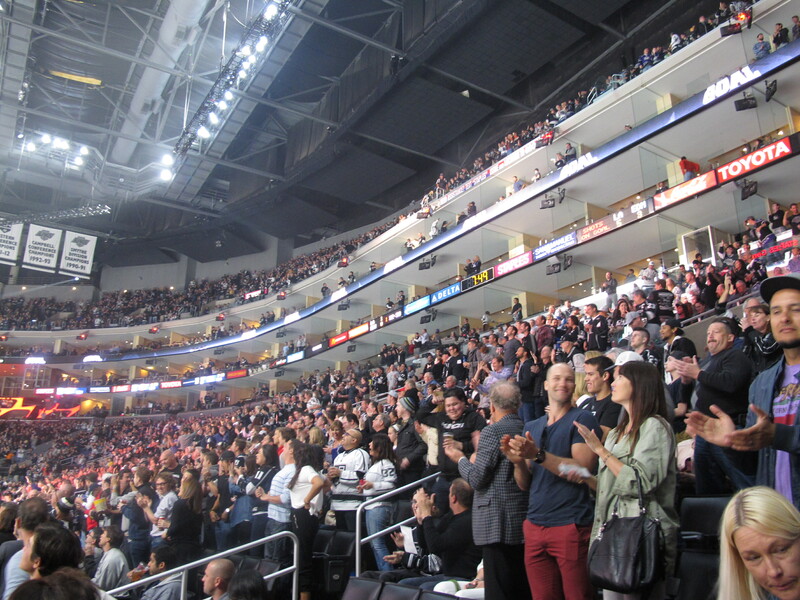 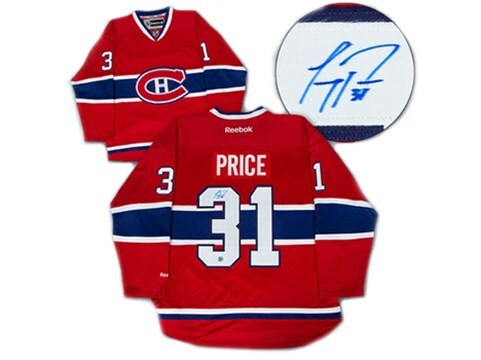 It has everything a hockey fan (or basketball fan, concert goer, etc.) 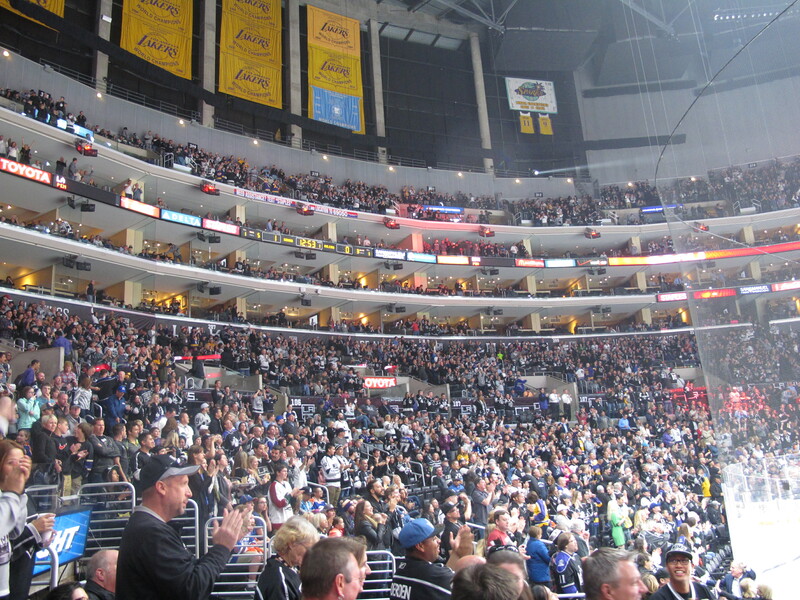 would want when enjoying their favourite sport or event!